Your friends and family are in for a treat with their favorite goodies packaged in gold foil snowflake holiday treat bags. 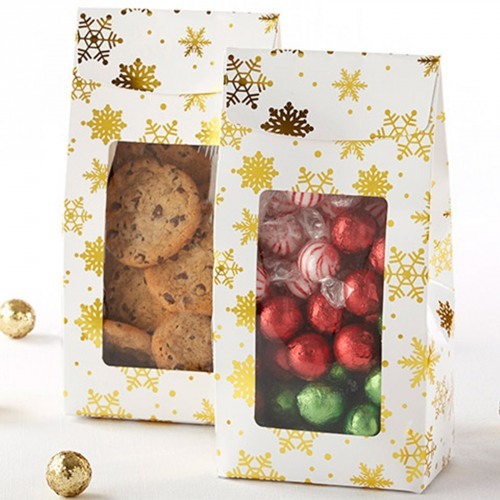 These festive treat bags feature a patterned gold foil snowflake design and a clear display window on one side. Just add in goodies of your choice and you've got a thoughtful gift for the holidays.